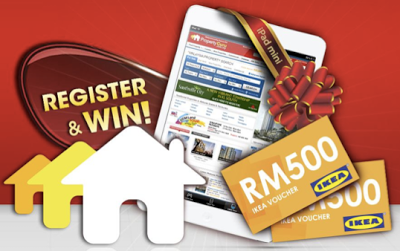 Home » iPad mini » lucky draw » PropertyGuru "iPad mini & RM500 IKEA Voucher Giveaway Competition"
PropertyGuru "iPad mini & RM500 IKEA Voucher Giveaway Competition"
Register your email at competition website. Answer a question in 10 words or fewer. Visit PropertyGuru website for more details. Win an iPad Mini this 18 Dec & 25 Dec 2012.